All anglers, no matter where you are in the world or what style of fishing you do, has that one fish that you only dream about—your bucket list fish. For many, myself included, the Silver King tops that list. Im talking about Tarpon. 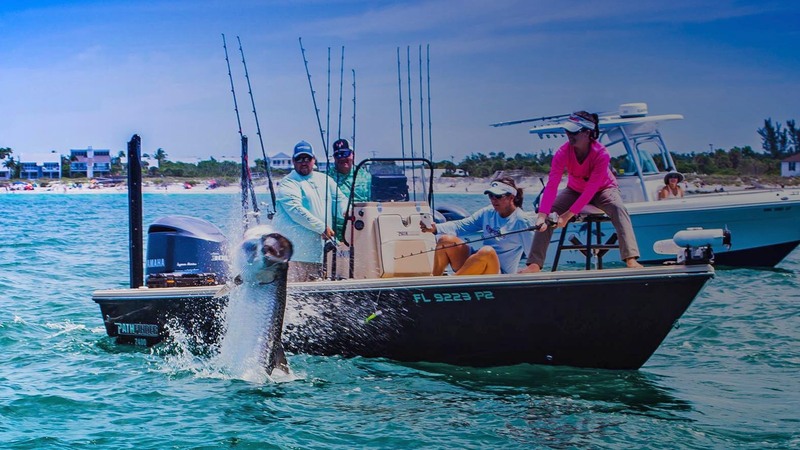 Although Tarpon has no food value, their size, beauty, high-flying acrobatics and tropical and subtropical environment make it one of the all-time great saltwater game fish. Growing up to 8ft. in length and weighing in at 150+ lbs., the Tarpon has the brute strength to test the ability of even the best of anglers. The best part? Tarpon can be found along beaches, seagrass beds and mangrove islands, making them an easy target from smaller vessels; kayaks included. But ask any experienced Tarpon angler and they’ll tell you: Hooking a Tarpon and landing one are two entirely different feats. With their strength and jumping capabilities, broken line, and thrown hooks – cussing fisherman is quite common. So, how would one go about catching their own Silver King you ask? Lets look at some key components including where to find them, rigging and tackle, and other useful information. Tarpon can be found throughout Florida, including the panhandle during warm months, but can only be found near south Florida during winter. They are also found in the Greater Antilles, Virgin and Cayman Islands and scattered throughout the Bahamas. Large adults can be found in large passes, river mouths and channels while medium sized fish can be found along seagrass beds, mangrove shorelines and even in freshwater rivers and canals. Conventional spinning gear with 30lb. test is all you need when targeting Tarpon. 7ft. medium weight rod with plenty of backbone is ideal. Be sure to use a heavy monofilament leader so the Tarpon’s rough mouth won’t cut your line. Tarpon can be caught on a variety of different artificial baits including jigs, jerk baits, topwater plugs and twitchbaits. They also will take dead or live baits. Single hooks are preferred over trebles so that the hook isn’t thrown as easily. Treble hooks give the fish more leverage to throw the hook when leaping out of the water. For your best bet in landing your prized fish, try live threadfin herring, live blue crabs, or even floating a live pinfish on a circle hook beneath a cork. Fly fishing for Tarpon has become quite popular and has been regarded as the ultimate bragging right. A 10 weight fly setup and a heavy tippet is recommended to bring in the Silver King. Tarpon have a unique function that is quite different from most other fish. They have the ability breathe air by gulping from the surface. They have a direct line to their swim bladder which acts as a type of lung that allows them to thrive when oxygen levels are low. When you see Tarpon rolling the surface, they are actually gathering oxygen from the air itself. This is why it is important to try and prevent them from rolling during the fight as they will grab their second wind directly from the air. Fighting Tarpon is also different than when fighting any other fish. It is the only time that you want to allow slack in your line. When a Tarpon leaps out of the water, it thrashes violently, often times throwing the hook or breaking the line. When this act occurs, you want to lower your rod tip and put slack in your line. The release of the tension on the line doesn’t allow the fish to gain the leverage it needs to shake the hook. This common practice while fighting Tarpon is known as bowing to the king. If you master this skill, your chances of landing that bucket list fish drastically improves.